Beijing Academy of Agriculture and Forestry Sciences (BAAFS) is a local agricultural academy supported by the Beijing government. The Institute of Forestry and Pomology of BAAFS is well-known in China for research on germplasm resources, genetic & breeding and cultivation of peach, grape, strawberry, apricot, apple, cherry and other fruit trees usually planted in northern China. The National Strawberry Germplasm Repository (Beijing) and the Beijing Engineering Research Center for Strawberry are located at BAAFS. 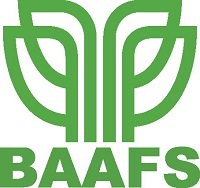 Within the GoodBerry project, BAAFS tests its own established cultivars in 3 locations in China, which have different climates, and follows the phenotyping protocols established by BAAFS. In addition, BAAFS analyses sugar metabolism and photosynthesis differences among different flavour genotypes, followed by the analysis of interaction between sink and source of strawberry plant.